The Nowthen Lions Club was chartered in October 2008 soon after our township became the City of Nowthen. We are very proud to be serving Nowthen, Minnesota. We are 25 members strong and are always seeking projects and opportunities to help others in our City of Nowthen. We are friends, neighbors and leaders ready to help our community grow and thrive! We are a group of people who believe very strongly in service to our community. Lions are an international network of 1.4 million men and women in 205 countries and geographic areas who work together to answer the needs that challenge communities around the world. Lions Clubs, as a movement, make up the largest and most active humanitarian organization in the world. We are proud to be part of an organization that is close to a century old and that has such a distinguished history of doing good works for the world. Since Helen Keller in 1925 challenged the Lions to be "knights of the blind in this crusade against darkness", Lions clubs has fulfilled the mission of addressing vision health and disease. 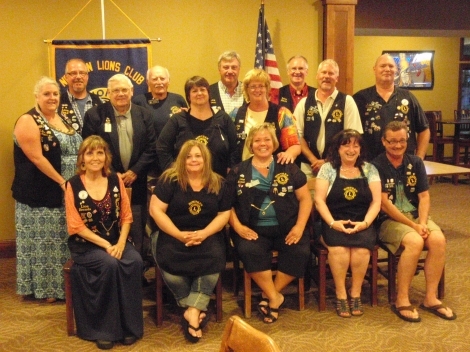 Today, Lions clubs work on initiatives for youth, health, disaster relief and others that affect our local community. Who can become a Lions member? If you are over 18 and looking for opportunities to serve your community, YOU can become a Lion!